When I was in Thailand, I would see the local people weave palm leaves into beautiful bowls, fans, balls and other amazing things. I asked my aunt if she knew how to make these things and she gave me a book that was all in Thai. I don't know how to read Thai, I can barely speak it. Somehow after a week of fumbling around with strips of paper, I managed to decode the pictures and figure it out. Here is my tutorial for you, it is not in Thai, and hopefully it won't take you weeks to make. I did take pictures, but please watch the video. It is much clearer. The first video is how to create a four strand braid, which is the basic premise behind weaving this ball. If you can do a four strand braid, weaving this ball should be simple (with some practice). The second video is how to use paper to weave the ball. Newspaper ball on left, Magazine on right. I used a cookie wrapper to make a silver ball. I so wish you lived close by! 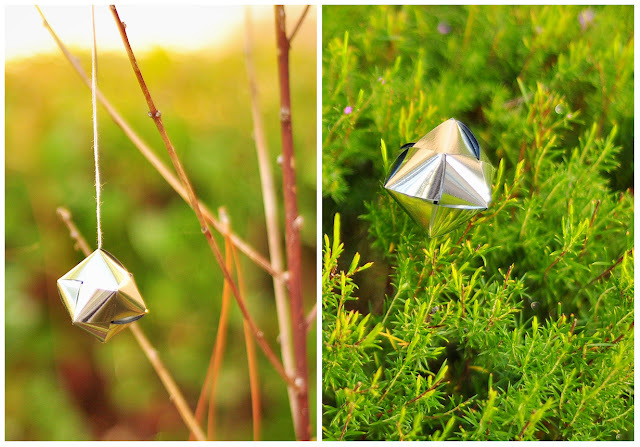 I'd invite you over for some tea and sconces and you could teach me how to make these precious little paper ball ornaments. I guess I'll just have to pretend while I watch the videos. Just discovered your blog through craft gawker! Great tutorial, and great pictures, I love it! Congratulations! The paper ornament is so fun to make! I want to cover my Christmas tree with them :) Thank you for making my Sunday afternoon crafting party with my BFF's just a little more enjoyable. I just created one of these awesome balls to hang on my tree and I think I'm going to make a few more when I'm more alive...You can see the post on my blog and leave a comment if you're feeling generous! PS AWESOME blog I'm going to be coming here quite often! Thanks for lovely comments:) I used some stamp letters for that flower pot I made...but bought in Norway Im afraid! Ill follow you too:) Looking forward to it! Great idea! I haven't ever seen paper weaving done. Thanks for sharing! Thanks for the instructions! Just linked to your tutorial! Lovin' the newsprint one, too! Can't wait to try this tomorrow. it all looks so very easy!! Really enjoyed your woven paper ball project - couldn't make just one! Mine are turning out more elongated than round. What am I doing wrong? 2. You are starting off with more of a diamond shape than a square shape. Hope one of these two reasons are the cause, because they are easily fixable. These are so cool. My wife and I made some ornaments this year that are pretty similar ... but we didn't braid the strips first. I'm intrigued in how you made yours with the 4 braided strips. These look like a lot of fun to make! I wonder how you would go about making giant paper woven balls? I'd like to make some that I could hang on the trees outside. Would you just do paper that was extremely wide? I'm guessing that would do the trick, what do you think? What a wonderful project and tutorial. I love your entire blog. Been pinning stuff on here all morning. I'm just going to have to pin it as one of my favorite blogs, :) Thanks for all of your sharing. I made these, too. Here are a few more pictures of the steps in between for anyone looking for them. 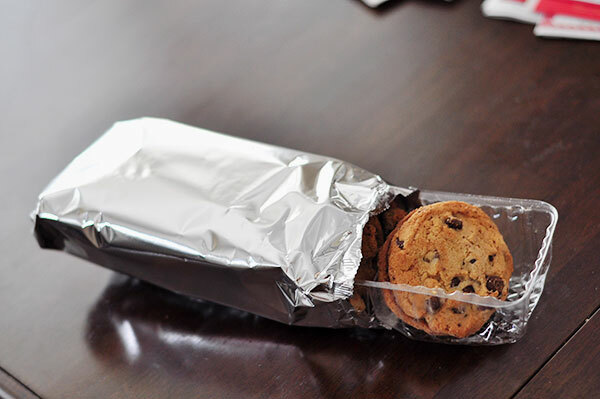 Awesome idea recycling the silver cookie wrapper! What a fabulous and versatile project! I can see them as decorations at a pinkalicious party, cat toys or just fancy table decor. Thank you so much for sharing! Hmm, an extremely large one may be a bit tricky but not impossible. I did make one that was tennis ball size, but I wouldn't consider that extremely large. The problem would be finding the right material that is long, wide, flat, and flexible enough to weave. Maybe wood veneer would work. I have never used wood veneer but have seen on some you tube videos. That seems like something that would also hold up to the outdoors. You probably wouldn't want to do it out of paper because you want to hang it outdoors. Another thought I had if you wanted to do it temporarily outdoors in nice weather is using wrapping paper, because that can be long enough. Hope these ideas help! I would love to hear how it goes if you do decide to take on the project. Wonderful blog ! Thank you for the video, very helpful !!! Thank you Cheese Thief! I found your Blog via HowAboutOrange. I have been looking for a new shade for a hanging light, and my first thought when I saw this was perhaps using wood veneer to create a large shade. Then I read the comments and found that you had the same train of thought about creating a large ball. I am going to practice on a small scale, and then try veneer. I'll let you know how it goes. What creativity!! Thank you for this amazing blog, I found you via HowaboutOrange, and I'm so loving learning all the fun stuff!! 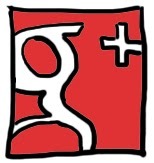 I am surely going to be a regular visitor to your blog!! The past tense of weave is WOVEN, not WEAVED. Language skills are important. Thanks for the tutorial! But seriously, WOVEN. I came to your blog from the youtube link. You have the most wonderful way of teaching. Even someone with butter fingers would be able to learn how to weave this. 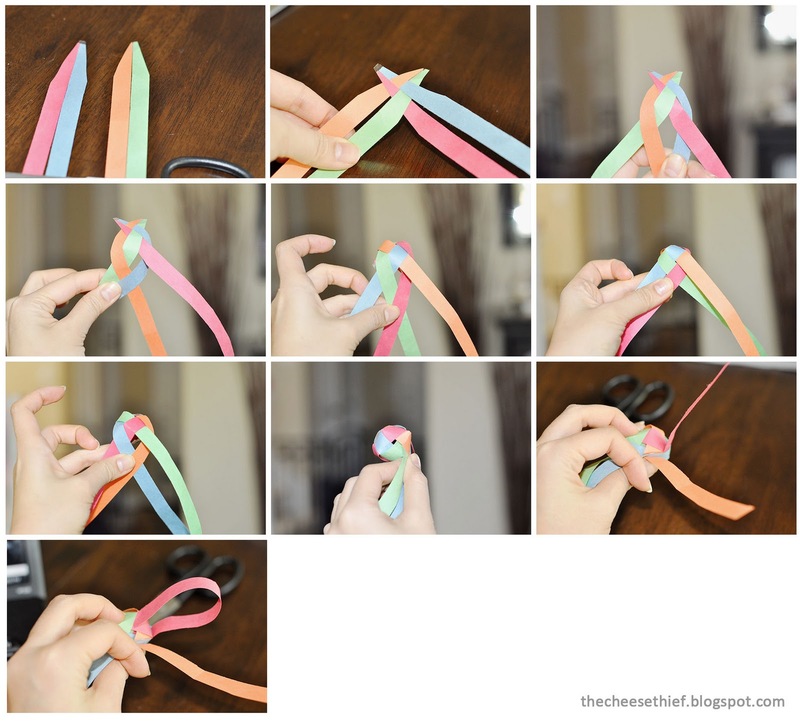 I am trying to gather some more ribbon weaving techniques which I can teach children to improve their motor skills. I saw the ketupat packet weaving techniques of Malayasia. But I don't how to learn it. But at least I can start with the basic ball that you have shown. Thank you so much. 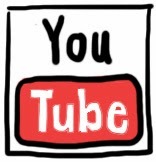 I would be looking forward to more such videos from you. great job . its very useful. thanks sharing. Thank you so much for sharing! I can see them as decorations at a pinkalicious party, cat toys or just fancy table decor. What a fabulous and versatile project! What a fabulous and versatile project! its very useful. thanks sharing. Just discovered your blog through craft gawker! Great tutorial, and great pictures, I love it! Congratulations. Oh it's so easy and cute! Thank you for sharing the tutorial! These are simply gorgeous. I made them for office decoration and people are ga ga over it. Thanks a lot. It sounds good to read your post. Thank you for sharing! 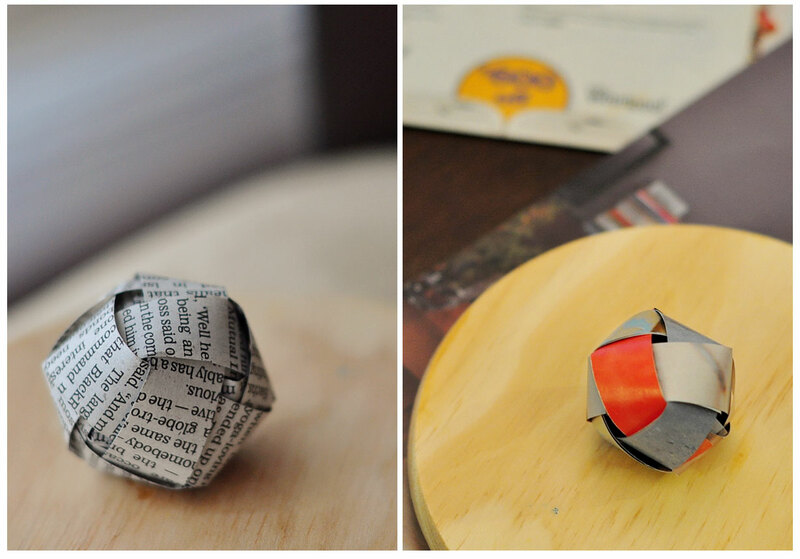 The other day I taught my son to fold the paper ball like this, but it was not as round and beautiful as it was in the picture, it was distorted. Thank you for the video, very helpful !!! Bookmarked! Weaving this ball is simple. please Visit for new and latest products..
you can buy every think with great less. with great offer..
free home delivery.. with gifts. What is the most stressful thing you can take on as a mother? I can tell you exactly what that is. Attempting to sell your home with kids in the house is like nothing I’ve ever experienced. Bwah! I had no idea how tough that would be. Silly me. Because you’re not just keeping the house up as you would if you and your family were living your day to day, business as usual. No, no. You need potential buyers to be able to envision themselves living in your home and that means it has to be clean, picked up and clutter free whenever you show it. So, how exactly do you accomplish that with kids underfoot? Well, the answer is to get them involved in the process. Have them help you keep the house clean! If they feel like they’re an important part of the whole selling/moving to a new home deal, they’ll be more likely to play nice and not demolish the house like they typically do. Have them pick up their room every night before they go to bed…If everyone spends a few minutes before bedtime making sure their bedrooms are tidy, it will be much easier to get out of the house fast if you need to. The key is having a place for everything. I have bins that my kids can easily store their toys in and those bins can stay in the room tucked away or I can even pick them up and take them with me. There have been plenty of times where we’ve had very short notice for viewings and if we hadn’t been keeping things clean, picked up and clutter free, we wouldn’t have been ready in time. If you’re serious about selling your house, you need it to be show ready at all times! Have a kid-ready cleaning kit on hand…My daughter, in particular, loves to “help.” So, when I put together a little cleaning kit that was just hers, she went all in with helping us keep the house nice and clean for showings. I included items like a little dust pan and broom, sponge, gloves and our favorite cleaning must have, Bounty paper towels. It may seem like such a little thing, but it gave her a part to play which got her even more excited about our house sale and the impending move to a new home! No matter how big or small your home is, if you’re not naturally a tidy person then keeping it clean can be a bit of a challenge. I live in a one-bedroom apartment in San Francisco, which means it doesn’t take much clutter for my place to look like it’s gone completely off the rails. Adding to my more stuff than space problem is the fact that I’m really just a messy person by nature. For a while, I thought I was just destined to live in a mess — until I started cleaning in sections. Divide your home up into seven sections, based on how dirty they typically are. The idea here is to get seven areas to clean that should take you an hour or less. So, if your bedroom is a nightmare, then maybe that should be divided into two, while your unused guest room and guest bath could potentially be combined into one. Think: What could I realistically clean in an hour? Don’t ever have a “section” that’s going to take much longer than that. Assign each section a day of the week. For instance, Fridays are my bathroom day. That means every Friday I squirt some toilet cleaner in the bowl, wipe down my counters, hit the floor with a Swiffer, and spray down my shower. The first time I did this it took a long time. Now that I do it every week, I can be done in 15 minutes. Once you’ve got everything divided up, make a point (for at least a week) of sticking to your schedule and getting those areas in order. Obviously, this is a little easier for me since I have a small home. If you have a bigger one, then you may need to expand that initial cleaning over a few weeks. Make it manageable for you and your schedule. If it’s not, then you’re likely to abandon it. Breaking things up into smaller easy-to-do chunks sounds simple, but for some reason, it was something I had never really tried before. When I would try and tackle the whole apartment I’d often fail, even when I gave myself the entire day, because I would get way too overwhelmed, distracted, and ultimately exhausted. Now I’m the proud owner of a moderately-clean apartment, and after a few years, it’s managed to stay that way —despite the fact that I live there. Creative and wonderful idea.Eye cating blog.Made my day from these creative things.Keep sharing more and more. Thanx for sharing these videos with all of us. Wow ! It's really wonderful. Vi på encas service satsar på kvalitet städning och vi tycker att man ska städa minst 4 ggr om året, alltså storstädning samt fönsterputs. Många flyttar bara för att dem orkar inte städa efter och det är fel. Vi städar lägenheter som har aldrig haft storstädning och fönsterputs och ni kan tänka er hur mycket smyts som kan samlas under möbler och i ramerna på fönster. täda efter kategori. Det är svårt att göra sig av med saker, man har sannolikt tyckt om de flesta av dem, har minnen förknippade med många och dåligt samvete för flera. Maries tips är att rensa i ordningen kläder, böcker, papper, allehanda osorterade föremål (benämns komono på japanska) och sist saker med effektionsvärde. Visa inte släktingar/vänner vad du gör dig av med. Dock kan före och efter-bilder inspirera, men håll skänk/sälj/återvinn/släng sakerna för dig själv. Gör dig av med saker först — organisera och fixa med förvaring sen Det är lätt att saker mest flyttas runt, det blir för mycket grejer i omlopp och man orkar inte slutföra. This is nice..!! and Informative as well.